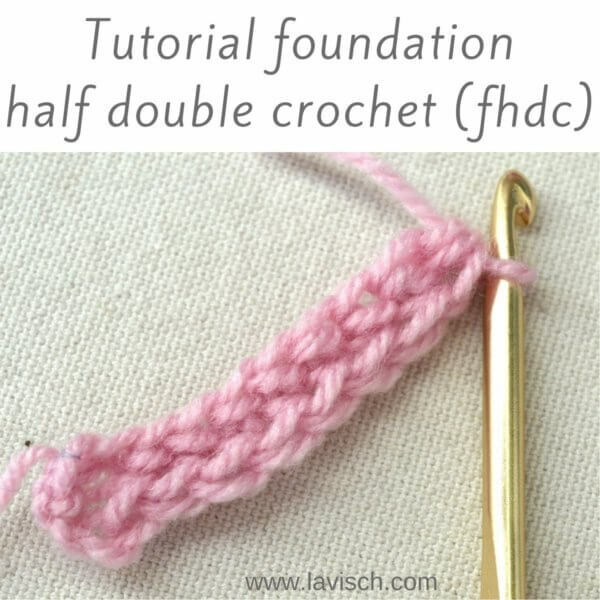 In earlier tutorials I have already shown you how to start your crochet without a starting chain, using either foundation single crochet (fsc) or foundation half double crochet (fhdc). 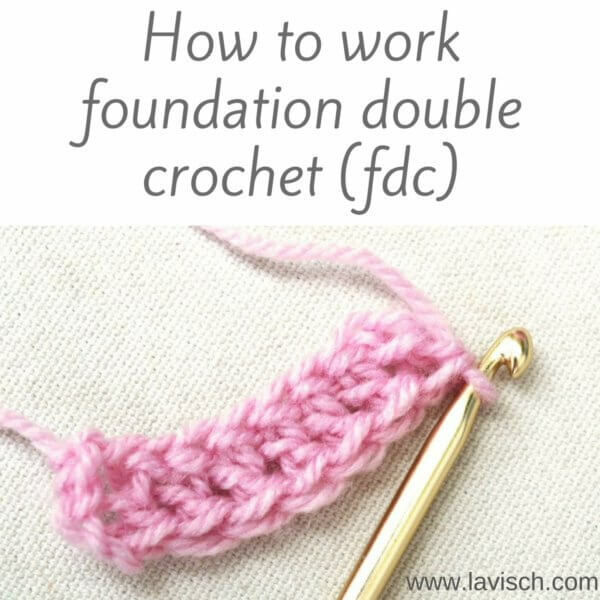 In this tutorial the final part in the series: how to work a foundation double crochet or fdc. 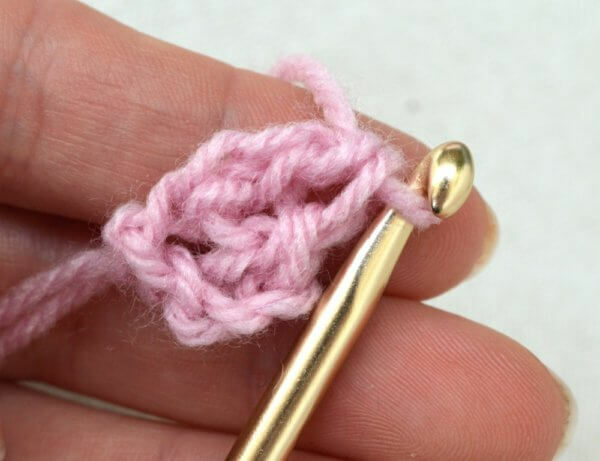 Foundation double crochet: make a slip knot and place onto hook, ch 3, yo and insert hook into both lps of the third st from hook, yo and draw through st, ch 1, yo and draw through first 2 lps on hook, yo and draw through last 2 lps on hook, *yo, insert hook in ch part of previous st, yo and draw through st, ch 1, yo and draw through first 2 lps on hook, yo and draw through last 2 lps on hook; rep from *. 1. 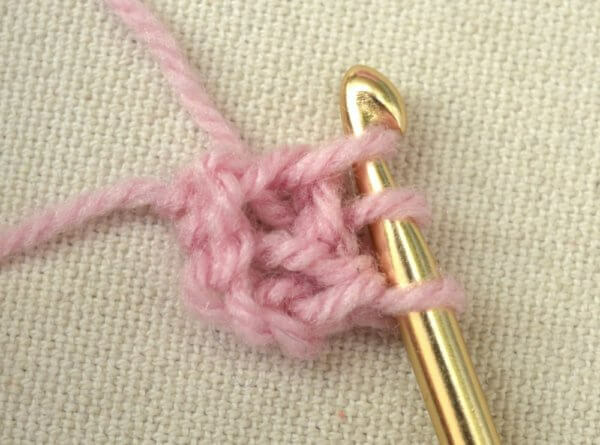 Make a slip knot and chain 3. 2. 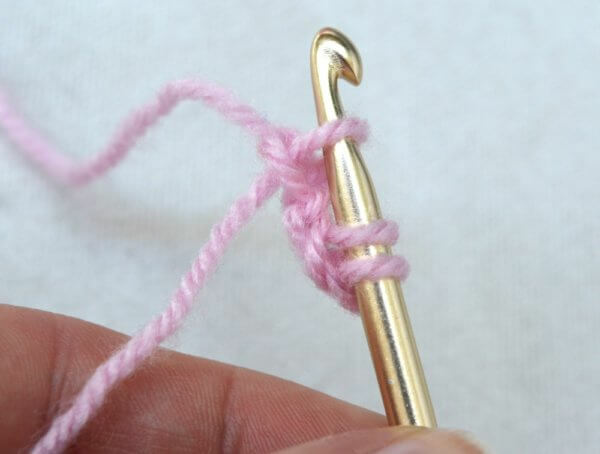 Yarn over and insert the hook from right to left under the top strands of the third chain from the hook. 3. 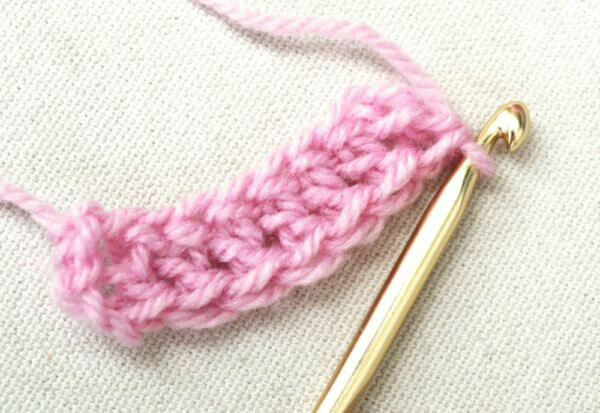 Yarn over and draw through the top strands as indicated above. 4. 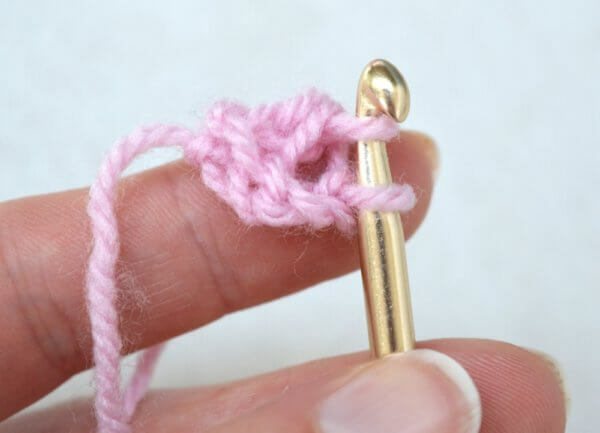 Chain one stitch, make sure to make this one not too tight, because here you create the “chain” part of your foundation row. 5. 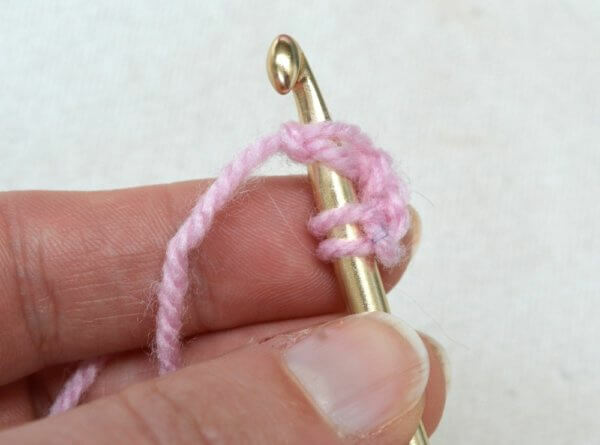 Yarn over and draw through the first two loops on your hook. 6. 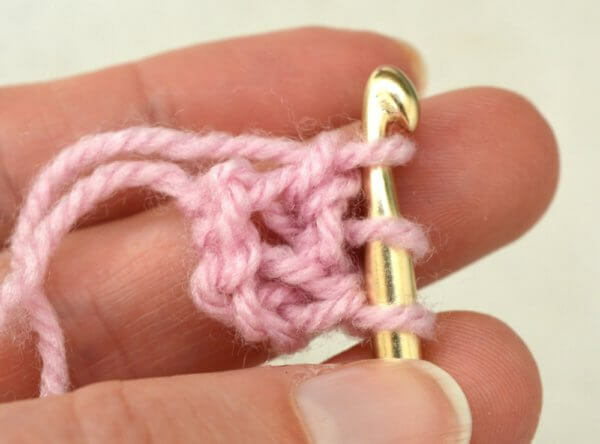 Yarn over and draw through the remaining two loops on your hook. 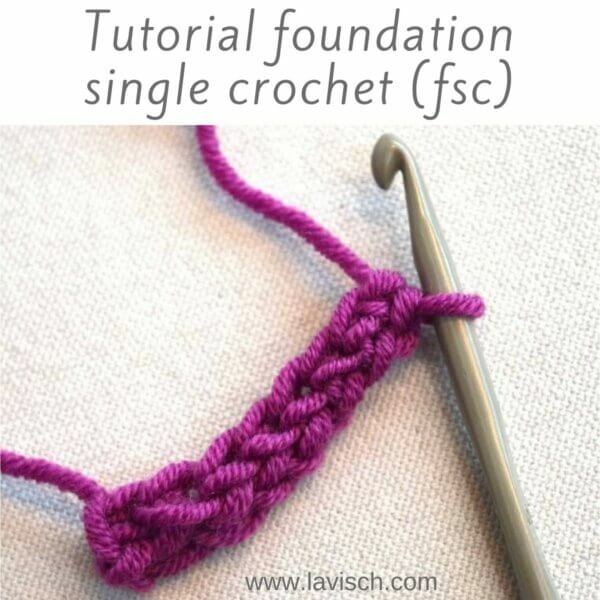 This completes the first stitch in your foundation double crochet. 7. 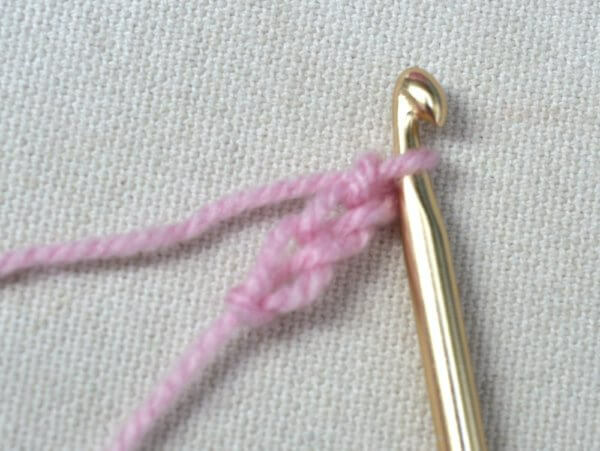 Insert the hook in the chain part of the previous stitch, as indicated by the arrow in the picture above. This can be a tad hard to make out. 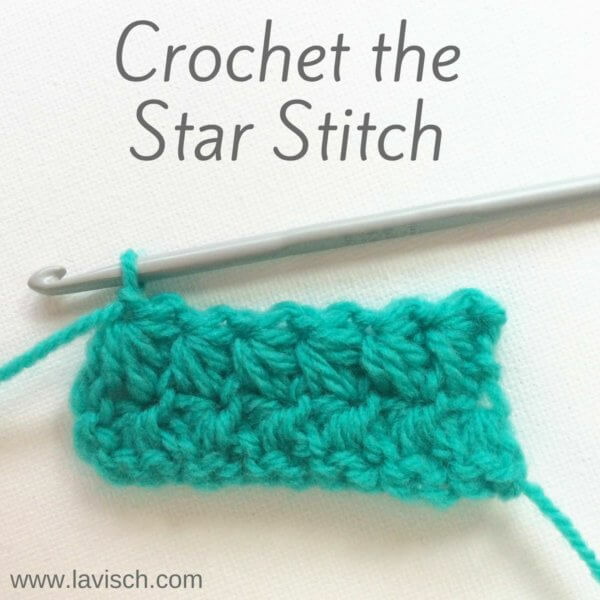 Yarn over and draw through both strands of the stitch. 8. 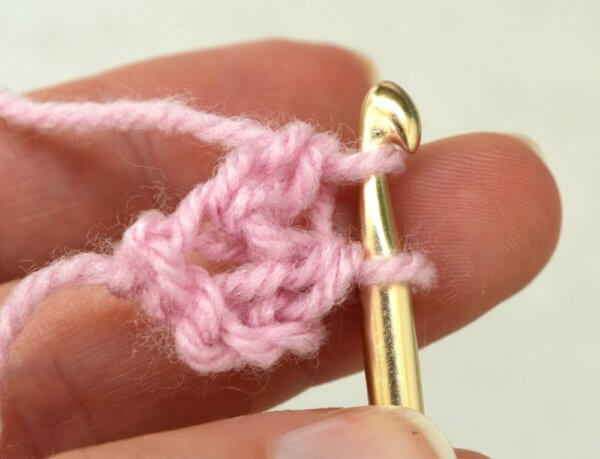 Chain one stitch, again making sure not to make this one too tight. 9. 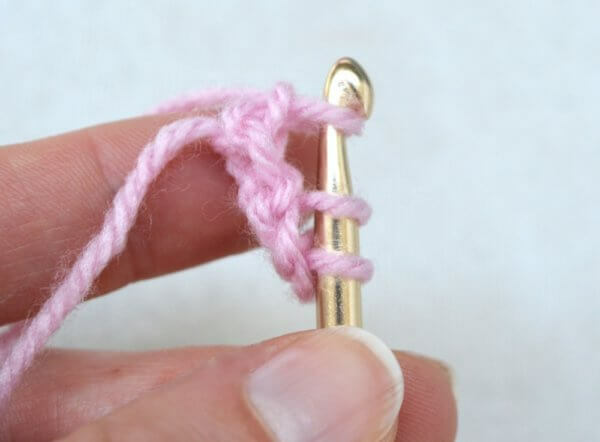 Yarn over and draw through the first two loops on your hook. 10. 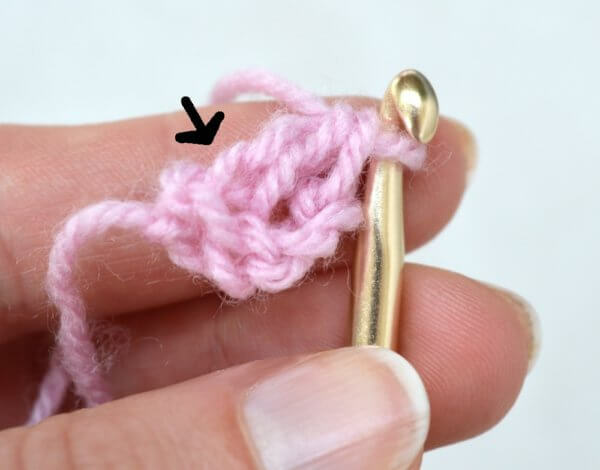 Yarn over and draw through the remaining two loops on your hook.